The SIG100 Sensor Integration Gateway is an IO-Link sensor hub which makes collecting and monitoring digital standard signals easier than ever. Logical decisions are made based on the user configuration, and the results are transmitted via IO-Link to any IO-Link master. Devices are parameterized quickly and easily via an integrated USB interface and the SOPAS ET graphical user interface. For various applications, a drag & drop logic editor enables the quick and easy creation of an autonomous sensor system which can be operated separately from the central controller (PLC). 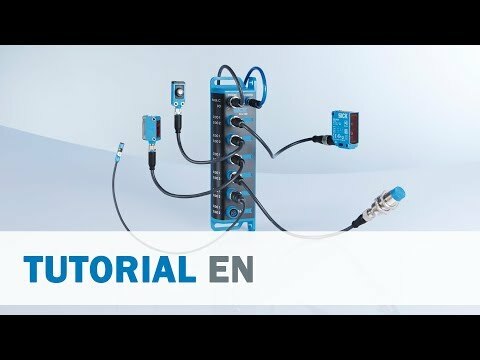 A powerful logic editor integrated into SOPAS ET enables the creation of unique sensor systems. Visualize all connected signals and solve your application tasks quickly and easily with integrated logic gates, e.g., AND/OR gates, an inverter, time delays, or a counter. Simply drag and drop logic blocks and connection points to create your system. Access is established via the USB port on the device combined with the SOPAS ET software. System configurations are easy and can be carried out by all kinds of user groups, as no programming knowledge is required. 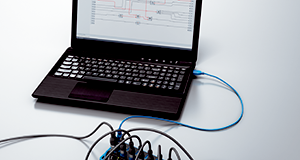 Solve simple application tasks using binary switching signals from sensors or actuators without an additional controller. Logic editor: a graphical configuration environment to easily combine inputs (left side) via logic function (top bar) with outputs (right side). With SIG100, the connected sensor or actuator signals can be efficiently combined and aggregated using the drag & drop function. This can easily be done without any additional software skills, which significantly reduces programming effort and saves time. 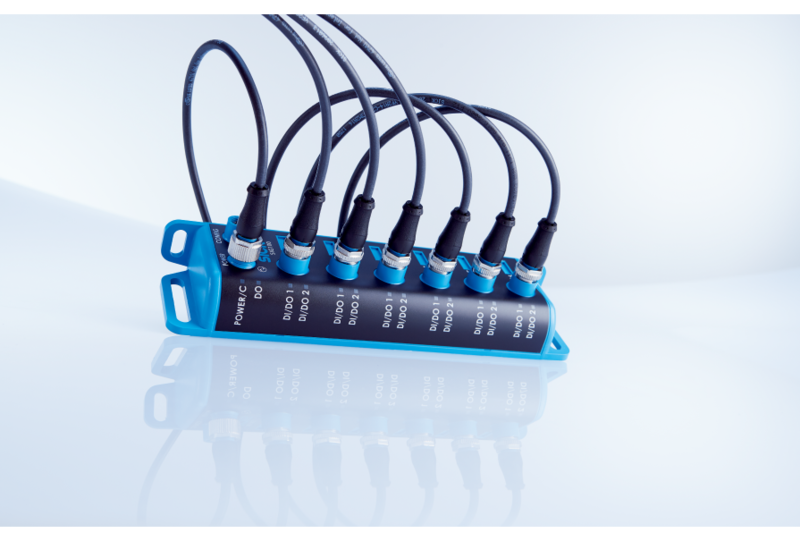 The SIG100 Sensor Integration Gateway reduces wiring effort by consolidating the individual standard input/output signals into a single IO-Link data stream. 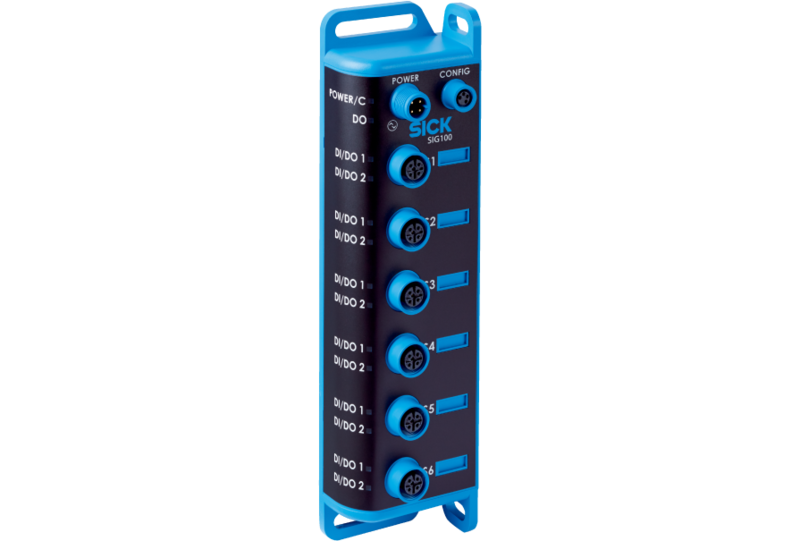 Up to 12 separate input or output signals can be consolidated via the six ports of the SIG100. IO-Link requires no special cabling. The tried-and-tested, unshielded three-wire industrial cables can still be used to connect sensors and actuators. The binary sensors and actuators are connected to an IO-Link master using the standard 4-pin M12 male connector of the SIG100. 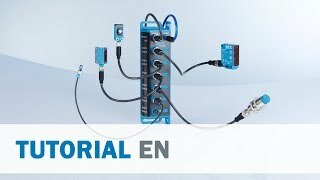 This enables a uniform wiring concept ranging from fieldbus and IO-Link devices to standard input/output signals. Installing the SIG100 is also very easy. 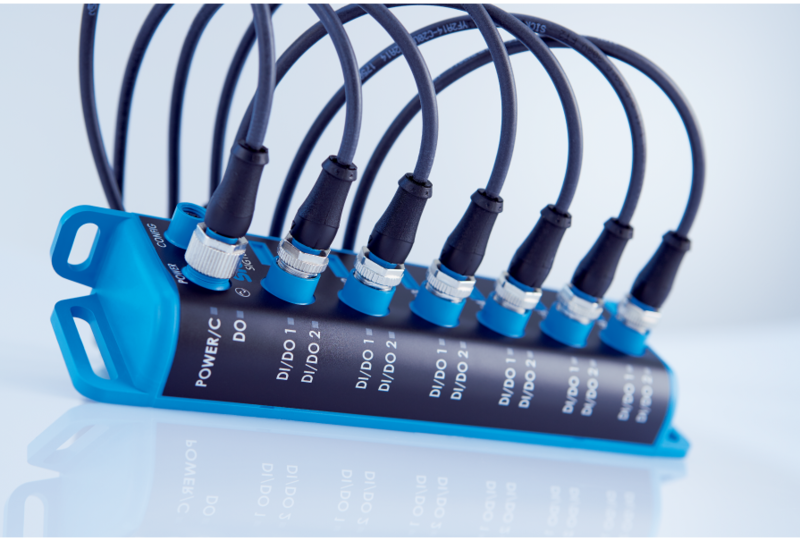 Using a USB interface or IO-Link, users can read and change device parameters either via SOPAS ET or the control system software, enabling fast parameterization and commissioning of the SIG100 and thus saving time and resources. 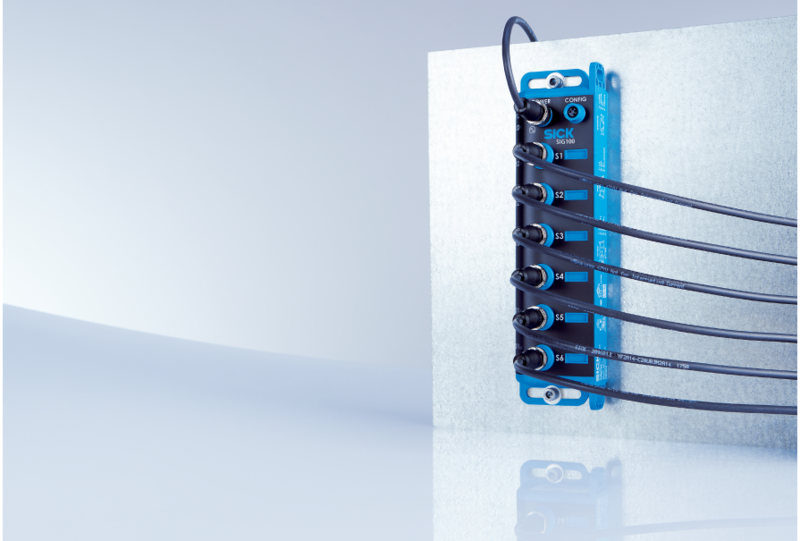 A uniform wiring concept for all kinds of sensors. 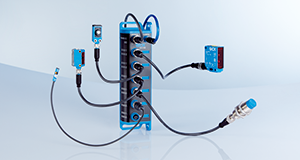 IO-Link is a point-to-point communication protocol for connecting intelligent sensors and actuators within an automation network. It allows central access to information which was previously only available within the connected devices. 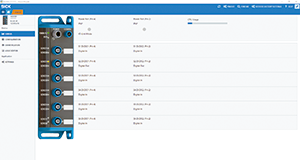 Visualization and parameterization of IO-Link devices such as the SIG100 gateway is easy with SOPAS ET– the configuration software from SICK. SIG100 is an IO-Link device. It can be connected to any IO-Link master in order to access information from the connected devices as well as the aggregated system information which is created in the logic editor. IO-Link offers a lot of benefits, e.g. the automated storage of device parameters and unique device identification. An IO-Link device can be automatically identified via the device-specific and manufacturer-specific identifier to ensure that the correct device is used in the case of device replacement. The device parameters from a specific sensor can be automatically loaded onto a replacement device to ensure that the correct parameterization is in place after replacement – for fast and error-free commissioning. 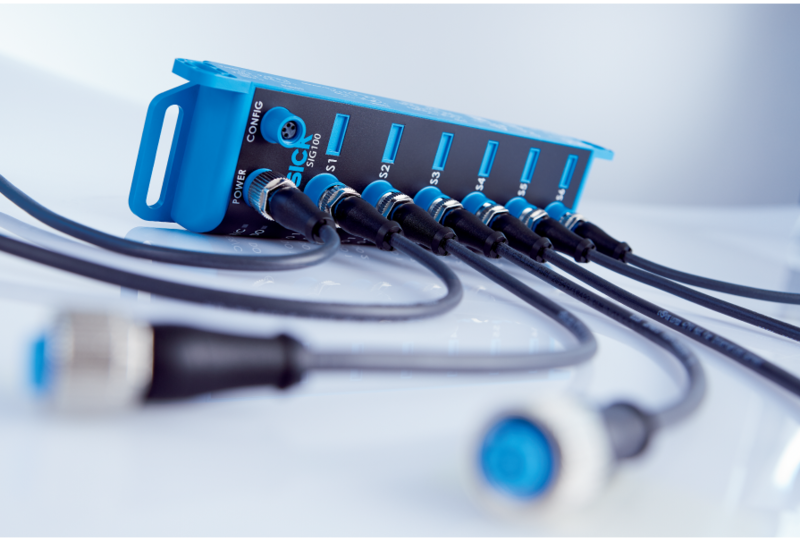 As co-founder of IO-Link, SICK offers one of the broadest IO-Link portfolios on the market for numerous types of sensors with all kinds of detection technologies. 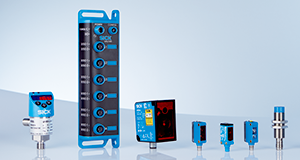 The SIG100 gateway enables the quick and easy connection of binary sensors as well as the creation of compact sensor-actuator systems. 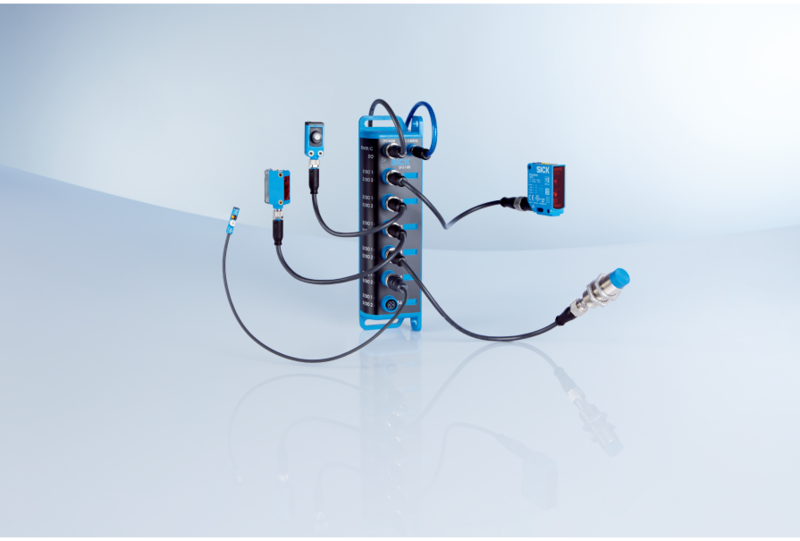 Make use of SICK’s extensive experience regarding all kinds of sensor principles as well as IO-Link technology. 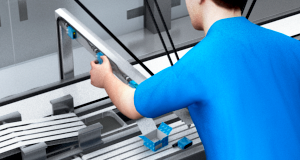 Easy device replacement due to automated device identification: No specially trained personnel, additional auxiliary aids or instructions are required in order to reliably replace sensors when using IO-Link devices together with an IO-Link master. Visualization and parameterization of sensors and Sensor Integration Gateways via SOPAS ET. As co-founder of IO-Link, SICK offers one of the broadest IO-Link portfolios on the market. 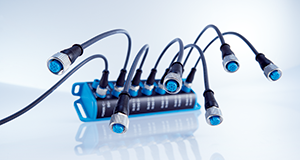 Make use of SICK’s extensive experience regarding all kinds of sensor principles as well as IO-Link technology. 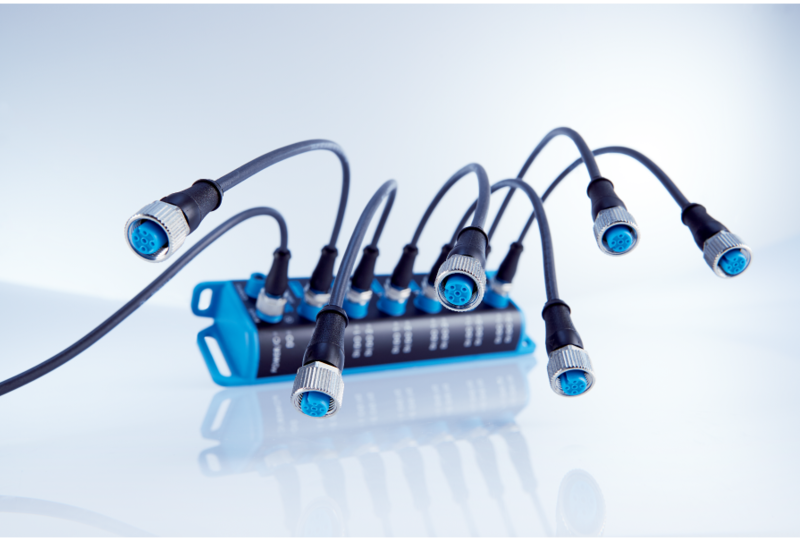 There are many advantages of an IO-Link system including standardized and reduced wiring, increased data availability, simple device replacement, and advanced diagnostic options. 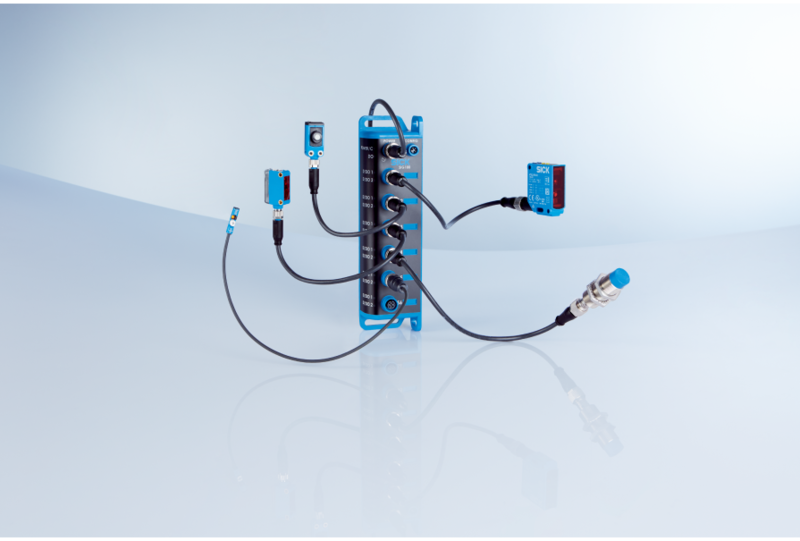 S1-S6 6 ports, Pin2 and Pin4 can be customized as a digital input or digital output to enable the transmission of up to 12 digital input or output signals.